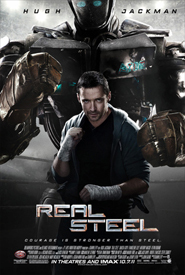 Real Steel Coming Soon! | More Crunchy Beach Mama! We could all watch a little Hugh Jackman huh? October 7th Real Steel hits the theaters! Here is a fun little movie clip for you to get a sneak peek. Enjoy!